Photo courtesy of Alison Eastaugh Browne. In a long professional life, Fred Eastaugh was an accountant, a ship's officer, and an attorney. He was also a skilled craftsman, an amateur photographer of professional quality, an athlete especially adept at skiing and tennis, a devoted family man, proud of the accomplishments of his wife and children, and a long-time Alaska civic leader. An interest in mining transcended Eastaugh's vocations and avocations. For four decades, Fred was a scholar of mining law, representing mining companies and often speaking for the industry. Moreover, he was a prospector at heart, if not always in fact. His lifelong interest in mining came partly from his heritage. Fred's father, Edward (Ted) Orlebar Eastaugh, was a mining engineer, a graduate of the School of Mines in Cornwall, southwest England, one of the oldest schools of mining in the world. Ted immigrated to Nome, Alaska in 1900, and prospected on the Seward Peninsula and on the southern flank of the Brooks Range from 1900 until 1913. Fred's great uncle, mining engineer James Read Girling, had prospected the Seward Peninsula in the years immediately before the Nome discovery in 1898. Although the Eastaugh family left Alaska shortly after Fred's birth, stories of gold rush Alaska must have been an important part of his early life. Fred was born in Nome on June 12, 1913, to Theodore (Ted) and Lucy Evelyn Ladd Eastaugh. Lucy Eastaugh, from an old San Francisco family, had come to Nome as a schoolteacher, and married Ted Eastaugh in 1906. Their first son, William, would later settle in Wrangell, Alaska. Shortly after Fred's birth in 1913, the family left Alaska and settled in Monterey, California. Fred and Bill grew up in California and, later, in the Seattle area. Fred enrolled in the University of Washington in the early 1930s. To pay his way through college, he worked, first as a freight clerk and later as an assisstant purser, for the Alaska Steamship Company, which was owned by Kennecott Copper Company and known to most Alaskans as Alaska Steam. After graduating with a Bachelor of Arts degree in 1937, Fred went to work for Alaska Steam full time. His position might have been a routine marine accounting and people-greeting job normally, but it was occasionally more challenging. It was in the late years of the Great Depression and Harry Bridges' radical longshoremen often put Seattle and other west coast ports in a state of siege. The young accountant and other ships' officers sometimes had to fight their way onto their ships behind the water nozzles of the Seattle Fire Department. Fred earned the rating of Chief Purser in 1940. One seemingly extraneous fact on Fred's earlier employment is of some note. In 1933, Fred was a twenty-year-old laborer constructing an extension to St. Ann's Hospital in Juneau, Alaska, when he met an attractive fifteen-year-old, Carol Benning Robertson, the daughter of pioneer Alaska attorney R. E. (Bob) Robertson of the firm Robertson & Monagle. The early meeting blossomed into a romance and Fred and Carol were married in Seattle in 1942. Recognizing the potential of aviation for Alaska, Fred left Alaska Steam, and briefly joined Pacific Northern Airlines (PNA), and then Pan American Airlines (Pan American), where he worked from 1940 until 1946. Fred set up an accounting system for the airline's northern routes, and moved between Seattle, Juneau, Fairbanks, and San Francisco to implement the new system. Fred and Carol's oldest child, Robert, was born in 1943. By the mid 1950s, Fred had an extensive mining company client list. One of his long-lasting client relations was with U.S. Steel Company (USSC); he served as its Alaska contract attorney from 1957 to 1976. USSC, which had several property interests in Alaska, was initially attracted to the territory by the large low-grade titaniferous iron deposit at Klukwan at the head of Lynn Canal. The lode iron deposit was in rugged terrain and extensive placer iron deposits had formed in the valleys below the lode. Fred guided patenting of both lode and derivative placer deposits at Klukwan for USSC, a process completed in 1966. He was instrumental in the transfer of the iron claims, still undeveloped, to Mitsubishi Corporation in 1972. USSC was interested in the tin potential of Alaska, and Fred worked on tin leases for the company in the Manley Hot Springs area in interior Alaska and at Ear Mountain on the Seward Peninsula. Among Fred Eastaugh's early mining clients were Texas Gulf Sulphur and BP Canada. Fred worked for Getty Minerals on disputes and titles and for most, if not all, of the companies involved in the extensive copper-nickel claims on Yakobi Island and on Brady Glacier. Eastaugh's clients included Fremont Mining Company, the discoverer of the Brady Glacier copper-nickel deposit, and its subsequent owner Newmont Mining Corporation. Fred represented Inspiration Development Co. in their activities on Alaska copper-nickel deposits at Yakobi Island south of Glacier Bay. His work on the copper-nickel deposits began in 1958, with discovery of Brady Glacier lode and extended past the enactment of the Alaska National Interest Conservation Act in 1980, when the Brady Glacier and Yakobi Island areas were withdrawn from mineral entry, effectively denying the right to develop. From 1978 until 1985, Fred worked for U.S. Borax and Chemical Company (USB&C), a subsidiary of the giant mining group RTZ. He guided patenting of 32 core claims at USB&C's Quartz Hill molybdenum deposit near Ketchikan. Although nearly $100 million was spent on the giant deposit, its development was finally halted in 1989 by a combination of adverse regulations and a poor molybdenum price. From 1979 through 1982, Fred worked with Noranda Mining Company on the Greens Creek lodes on Admiralty Island. The deposits developed into a rich polymetallic mine, producing zinc, gold, and silver. During some years, Greens Creek has been the nation's largest silver producer. For decades, Fred Eastaugh was involved in practically all the major mineral deposits in southeast Alaska. Occasionally he extended his mining involvement into interior and northern Alaska. An interest in federal mining law and the history of its development led Fred to join the Rocky Mountain Mineral Law Institute in 1968. In related association work, he also served on the Natural Resources Section of the American Bar Association, and was a member of the National Mining Congress. Fred was active in the Alaska Miners Association, serving as director. He was particularly interested in strategic and critical minerals, because Alaska seemed to contain significant deposits of those rare resources otherwise in short supply in the United States. He applied his knowledge of the law and minerals in service with the Joint State-Federal Land Use Commission which was established by the Alaska Native Claims Settlement Act of 1971 and a commission that oversaw the 1980 Alaska National Interests Lands Conservation Act (ANILCA). Fred's natural resource related legal expertise extended to the laws governing fishing and timber, both major primary resource industries in southeastern Alaska. He had an extensive practice in corporate and probate law with experience on both sides of the bench. Eastaugh was elected Municipal Judge of Juneau in 1949 and served until 1955, overlapping to some extent with a term in the Territorial legislature. Subsequently, Fred was city attorney for both Juneau and Wrangell. Eastaugh became a full partner in the newly renamed firm of Robertson, Monagle, & Eastaugh in 1958 when he was also admitted to practice before the U.S. Supreme Court. Eastaugh had been admitted to practice before the Ninth Circuit Court of Appeals in 1956. Fred later served the Robertson firm as senior partner, director, and managing partner. Personal interests and activities were equally extensive. Fred became interested in photography in his boyhood years and was a photographer of professional quality. He had a solo exhibit in the Seattle Air Museum in 1934, mainly of photographs taken from Alaska Steam ships as they traversed southeastern Alaska. In the days before 35mm photography became popular, Eastaugh had saved to buy a LeicaTM 35mm camera, then the first choice in the world for many professional photographers. He continued "shooting" with his faithful camera for decades. Boating and boat construction were other favored activities. In 1942, Eastaugh was one of six charter members of the Corinthian Yacht Club of Seattle, and he was active later in the Juneau Yacht Club. Boat building was an Eastaugh avocation from boyhood on. He built his first boat at age 12 in California and later built several wooden boats of superb quality. In the 1950s, he constructed a boat capable of ascending the Taku and Stikine Rivers. Fred Eastaugh loved to ski, an activity that he shared with Carol and children, Robert and Alison. Fred was an early member of the Juneau Ski Club, and was particularly instrumental in obtaining federal land on Douglas Island for the site of the Juneau-Douglas area Eagle Crest ski resort, a task which involved about ten years of behind-the-scenes negotiation with federal land agencies and congressional offices. The Eastaughs were cosmopolitans in Alaska's little capital city of Juneau. Fred served as Alaska's Vice Consul for Norway between 1951 and 1986, and Consular Agent, Vice Consul for France from 1953 until 1985. For his services to Norway, Fred received the title of "Knight of the Royal Order of King Olaf" in 1969. 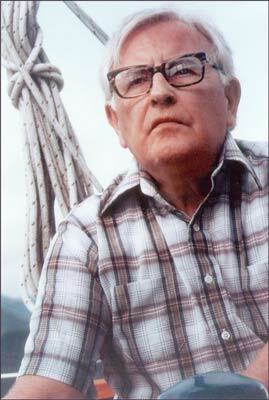 Fred's dealings with Norway were not only consular; he was the Alaska delegate to the Union of Forest Research Organizations in Oslo in 1975. The Eastaughs also maintained professional and social contacts in the Pacific Far East. Anchorage civic activist and State Commerce commissioner Charles Webber thought that the Eastaughs had significantly improved relations between Alaska and Japan with the use of their "summer house" at Auke Bay for entertaining distinguished Japanese visitors. Fred supported his wife Carol in her interests in Alaska history, music, and writing. Carol wrote and produced Hootchinoo and Hot Cakes. The musical melodrama began with some pre-gold rush history of southeast Alaska. It was a feature of summertime Juneau for many years, and it played, appropriately, in the historic mine buildings of the Alaska Juneau gold mine in Gold Creek. Carol shared Fred's interest in the Gold Rush era, which had still been very evident in the years that Carol spent growing up in Juneau. In 1967, Carol wrote Lucky For Us, a full-length musical on the history of Juneau commissioned in celebration of the Alaska Centennial. Although Carol's main interests were far from legal, background as both an attorney's daughter and an attorney's wife were valuable in her sixteen years service on the Alaska Violent Crimes Commission. Politically, Fred was a Republican, and he was active in the Party. He was a strong believer in the importance of preservation of individual rights, and joined the Pacific Legal Foundation in 1983, as one of eighteen Trustees who set policy for the organization. The foundation is a public interest law firm particularly devoted to the protection of the individual against often well-meaning but overreaching collective decisions. In the forested land that he called home, Fred fought for the individual and corporate interests that wished to develop some of Alaska's wilderness. Some of the words written in the last years of his life are still pertinent to the issues of development in the Tongass National Forest (Tongass) of southeast Alaska. Fred reviewed the draft Tongass Land Management Plan (TLMP), supplied comments to the Regional Forester at the time, Mike Barton, and expressed many of his beliefs, developed over nearly sixty years of involvement in southeastern Alaska affairs. In 1933, when Fred first saw the southeast Alaska Panhandle, the Tongass embraced some 22 million acres of southeast Alaska, extending from Yakutat in the north to Cape Chacon, on Prince of Wales Island, in the south. By 1991, when Eastaugh wrote his comments, the Tongass had shrunk to 16.7 million acres, largely because of the creation of the Glacier Bay National Park and the addition of national forest acreage into several restrictive conservation units, for example, Misty Fiords and Admiralty Island National Monuments. Fred's comments on TLMP are wide-ranging, including the extent of Wilderness, the so-called Mineral Prescription, employment, the development of the Mansfield Peninsula area on Admiralty Island, and the still-current issue of roads that would give Juneau surface access to the rest of the continent. "The map of the Preferred Alternative [in the draft EIS] shows that nearly 40% of what is left of the Tongass is in Wilderness. A better understanding of what has happened . . . in the last decade would be for the map to include Glacier Bay in Wilderness blue and show that of the original Tongass of 22 million acres some 53% is now in Wilderness. Moreover, when we consider that the road-less Primitive Recreation areas of 3,255,055 acres are for all practical purposes de facto Wilderness areas, the result would be that the present Tongass is about 56% so restricted and about 67% of the original Tongass is [also]. I suggest that such comparisons are in order to give the uninformed a picture of what has happened in the past so that they can perceive where we are now. As Justice Holmes said a page of history is worth a book of logic." "Such development as may result from the exploration will only use a small area out of the whole, and . . . after mining and reclamation the areas will continue to be available for recreation and habitat. The Juneau area is full of such examples from our historic past." "I think that the DEIS (Draft Environmental Impact Statement) is lacking in describing the importance of the national interest in minerals, while it talks about minerals being important in our culture and society . . . it does not mention the needs of national defense. That lack could be cured in the forthcoming Supplement . . . [which] should also include some reference to the folly of relying on sources for energy needs and strategic and critical minerals from foreign unstable areas or countries. This is serious stuff, not just argumentative chatter." ". . . as a former 'river rat' I think the discussion should include reference to the great amount of suspended solids in the [Taku] and its shoaling as far down as Annex Creek." Moreover, perhaps alone of the commentors on the DEIS, Eastaugh was concerned with implications of the plan with regards to the Convention concerning the Boundary Waters Between the United States and Canada, proclaimed March 13, 1910. Fred thought that there were also valid issues with the then very current Free Trade Agreement between the U.S. and Canada. Characteristic of Fred, his detailed comments were based on how he perceived the issues involved and were offered in a constructive and gentlemanly fashion. He knew Forester Barton well, hence the personal tone of much of his comments. Fred also made most, if not all, of the same arguments in a formal comment to the team evaluating comments on the DEIS. 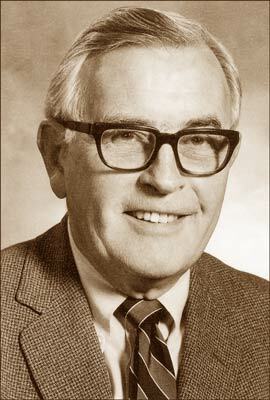 Beginning in the late 1960s and early 1970s, Eastaugh's contributions to Alaska were recognized with many awards and honors. He especially enjoyed his recognition as a Director of the Alaska Miners Association, and his appointment to the Alaska Minerals Commission in 1991. Fred Eastaugh reasonably believed that he had a significant role in the rebirth of an Alaskan industry that had still been very visible in his first years in Alaska. In those years, Kennecott Copper Company owned the primary means of access to Alaska, Alaska Steam. As the ships returned southward, they often landed at Cordova and took on copper concentrates bound for the smelter at Tacoma. The Alaska-Juneau hardrock gold mine was still in production and would continue until 1944. Every day, a thousand or so men, one out of every four or five residents of Juneau, went to work at the mine. Like many of his generation, Fred believed that mines were, or should be, a fundamental part of Alaska's economy. After a long hiatus in mining, Fred saw the openings of two mines that were significant on a worldwide scale, Greens Creek and Red Dog. "Your faithful concern for matters of public interest, beyond simply the immediate work on behalf of your clients, has always been a distinguishing mark in your accomplishments." "Besides all that you managed to carry on for so long a real sporting tradition in sailing, skiing, etc., always with your family in an enviable record of a genuinely full and active life." "He was born in Nome, but for more than half a century he was one of Southeastern Alaska's most prominent civic and political leaders. He was, as a result, primarily identified with and often a spokesman that represented the Panhandle position . . . . Even so, as he gained the stature of one of our senior public officials, Frederick O. Eastaugh of Juneau became a man of all Alaska . . . . Always a gentleman, even during such heated battles as the capitol move proposition, which he opposed with vigor, Fred Eastaugh made and kept friends all over the state." "The real Fred Eastaugh was more than a lengthy and impressive resume of professional and personal interests. Perhaps his most important capacity can't be found listed on his resume. He served as institutional memory for Juneau. He had been involved in so many issues over such a long time span and his background provided such a deep and rich reserve of experience that many civic leaders used him as a sounding board. More than once, his sage advice prevented them from repeating the mistakes of the past." "There were only seven of us on the ship. The quarters were so cramped that we really looked forward to liberty. One evening I walked up the hill and went in the Juneau Elks Club . . . It wasn't long before a friendly gentleman came over and introduced himself as Fred Eastaugh. . . . after just meeting me, extended an invitation for me to come to his home for dinner the next evening. . . . That was the type of person that Fred was, friendly, kind, and truly interested in people, in understanding them, in understanding their problems, and in helping them overcome any obstacle." At his death, Fred left his wife of fifty years Carol, son Robert, and daughter Alison. Carol followed Fred in 1999. Fred Eastaugh was proud of the accomplishments of his children, and they have continued to enhance his legacy. Robert Eastaugh was named to the Alaska Supreme Court in 1994 by Governor Walter J. Hickel and continues to serve there. Alison Eastaugh Browne has retired except from voluntary civic and statewide affairs after years of service to the state as a fiscal analyst with the state legislature, then as Director of Administration for the Alaska Permanent Fund Corporation from 1984 until 1998. By Charles C. Hawley, February 2005. Royal Order of King Olaf (Norway), Knight, First Class 1969. Man of the Year, Juneau Rotary Club, 1971. Outstanding Alaskan Award, State C of C, 1978. Outstanding Citizen of Juneau, Juneau C of C, 1980. Commissioner, National Conference for Uniform State Laws. Commissioner, Joint State-Federal Land Use Planning Commission, 1974-1976. Commissioner, Oversight Committee for Alaska National Interest Lands, ANILCA, 1981-1986. Chair, Planning Commission Juneau, 1955-1962. Commissioner, Alaska Mineral Commission, 1991. President, University of Alaska Foundation, 1978-1980. President, Alaska State Chamber of Commerce, 1955-1956. The Eastaugh family came from Lowestoft, southwest England, the male line from the 1870s being: Jonathan Derby Eastaugh, Henry Jonathan Eastaugh, and Fred's father, Edward Orlebar Eastaugh, who was born in Lowestoft in 1878, and attended the Royal School of Mines in Cornwall. Jonathan Derby Eastaugh of Lowestoft was a "maltster" by trade, also a long time elected Alderman and a Justice of the Peace. Edward (Ted) O. Eastaugh immigrated in 1900 to the newly discovered gold camp at Nome, Alaska where he may have had some backing from the Clan Ramsay family. Edward's mining activities out of Nome are mostly unknown but in 1912, Edward and C. Fox Ramsay prospected Klery Creek which is a gold-bearing tributary to the Squirrel River east of Kotzebue. Ramsay was killed there in a freak accident when he fell from a cache. Shortly afterward, Edward, who in the meantime had married Lucy Evelyn Ladd, left Alaska. Lucy Ladd was born in San Jose. California in 1879. Information on the Klery trip is from annotations on historic photographs in a family album. The most important sources used were brief outlines and a resume written by Fred Eastaugh himself, a general summary prepared by Alison Eastaugh in 2001, and an email summary of 2001 c/clctbls/fam. Fred was newsworthy and many of his activities and honors are chronicled in newspapers, especially the Juneau Empire. He also made news often reported in Anchorage Times, and Ketchikan Daily News. The compiler also drew from his and his wife's personal memories on conversations with Fred and Carol Eastaugh as well as conversations with Alaskans who knew the Eastaughs well. Editorial, "Citizen of Alaska. Frederick O. Eastaugh", Anchorage Times, February 20, 1992. Editorial, "Fred Eastaugh," Ketchikan Daily News, February 21, 1992. Editorial, "Fred Eastaugh", Juneau Empire, February 20, 1992. Heatwole, David A., ARCO Alaska, letter to Fred Eastaugh on the occasion of his retirement, January 1987. Letter and comments to Mike Barton, January 4, 1991, 6 pages. Letter to Forest Service Revision Team, Re TLMP, Supplement to the Draft Environmental Statement, December 6, 1991, 9 pages. Murkowski, Frank, "My Turn, the passing of a true gentle man," Juneau Empire, February 20, 1992. Obituary, Juneau Empire, February 20, 1992. Supplemental comments on H.R. 918 (a mining law bill), May 25, 1991, before the House Committee on Interior and Insular Affairs, Subcommittee on Mining and Natural Resources, 3 pages. Stewart, Thomas B., Presiding Judge (ret.) Superior Court, Juneau, letter to Fred Eastaugh on the occasion of his retirement, January 19, 1987. Walker, Brooks Jr., Chairman, Pacific Legal Foundation, letter to Fred Eastaugh on the occasion of his retirement, January 19, 1987. Webber, Charles R., former Commissioner, Department of Commerce and Economic Development, letter to Fred Eastaugh, on the occasion of his retirement, January 14, 1987.